I’m off to sunny northern Spain in August for 2 weeks touring. Just to temp fate i want to take out a breakdown/recovery insurance, so I’m after recommendations....any advice on who to use, or stay well clear of ?? I was in Spain last year and sadly the final drive of my beloved 1150RT threw its hand in. I phoned the freephone number. Spoke to an English lady. She established where I was and transferred me to a Spanish lady. She took a few details and my phone number. Shortly she phoned me back and we arranged the pick up of my bike. It was taken (at my request) not to a local bike dealer, but to a BMW dealer some 70 miles away. The truck driver did not speak English, but we got by. When you say Bmw rescue are you talking about the insured emergency service and warranty they provide ? I have looked at that, but didn’t think they covered personal injury ? +2 on the BMW Insured Warranty with Emergency Breakdown cover. I’ve only used it in anger here in the U.K. on my last Beemer, a K13GT which had a switchgear failure on the starter switch! Good service overall. I want to take out a breakdown/recovery insurance, so I’m after recommendations....any advice on who to use. BMW Insured Emergency Service, https://www.motorrad-warranty.co.uk/EmergencyService, worked well when needed in Germany, would recommend it. When you say Bmw rescue are you talking about the insured emergency service and warranty they provide? I have looked at that, but didn’t think they covered personal injury? For personal injury cover, Gold Cover http://www.goldcover.net/affiliate/, is recommended by some motorcycle tour operators. Have had policies with them, but fortunately not had to use them. I’m swaying towards the Bmw warranty and emergency service, pricey I must admit, but having peace of mind is worth it. BMW Warranty & Emergency Service can be paid for on a monthly basis. Take out a policy one month before you wish cover to commence, (paid for in advance), then cancel it after a month. I'm paying £35.09 per month for 7 months for both a Warranty & Emergency Service. The Emergency Service can be purchased without the Warranty. I phoned the BMW line and luckily for me I did They arranged pick up for me the next day, Flew me home and the bike returned to me some 6/7 days later amazing service, so good in fact when I was changing the bike after trying lots, i picked up another BMW as the warranty was so good. My rear tyre went, wire coming through. 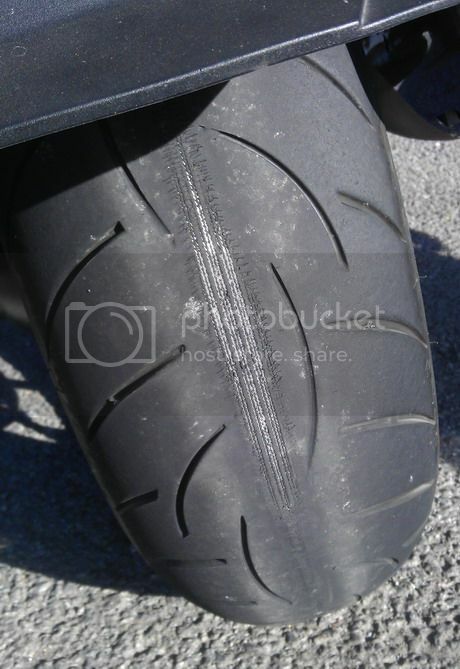 Out of interest, was this basically a bald tyre, rather than a puncture. If so, that's fantastic service from BMW Emergency Services. Looking at the Insured Warranty Policy Handbook, can't see any mention of tyres being covered. "We will not pay for: any costs resulting from your motorcycle being kept in an un-roadworthy condition." Surely, a bald tyre is "an un-roadworthy condition". pleased either way as I was stuck. No, not a bald tyre, wires came through so my guess faulty. Was it a Metzeler Z8 looking anything like this. Page created in 0.17 seconds.